Good Garage Scheme Car Servicing in Great Britain : We launch our new look website! We launch our new look website! 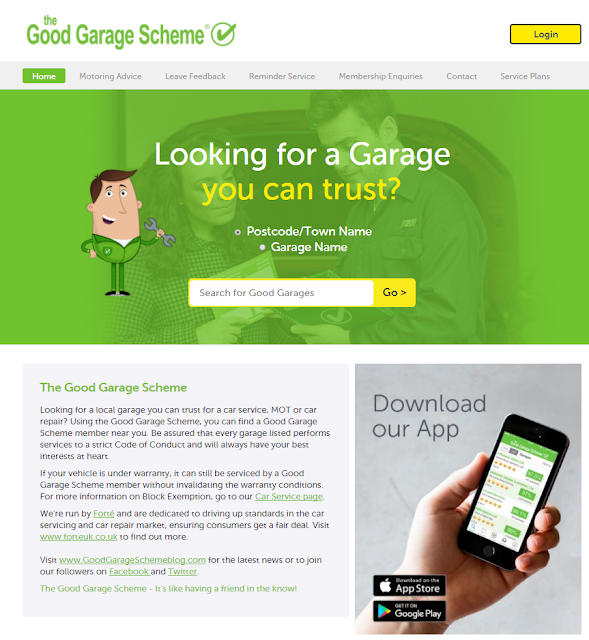 After months of hard work behind the scenes we’re delighted to unveil an all new website for The Good Garage Scheme. Our updated site has been redesigned to offer visitors much improved usability and navigation, allowing you to find a trusted garage near you with just a few clicks. ● Seasonal checks - one in summer and one in winter to enable cars to be ready for the changes ahead! Importantly, the website provides an excellent opportunity for visitors to give feedback on our member garages and provide recommendations that can be viewed by other users when choosing a local service to use. The site is fully optimised for use on mobile phones and other handheld devices such as the iPad and users can also download our easy to use mobile app directly from the website, enabling you to locate trustworthy garages wherever you go! Don’t forget that you can also find lots of interesting information, opinion and updates here on our blog page at www.goodgarageschemeblog.com. If you’d like to find out more about The Good Garage Scheme and our range of services and membership benefits, please contact our friendly team on 02476 474069 or visit our new website here.